St Cecelia's Orthodox Catholic Church at Caboolture. 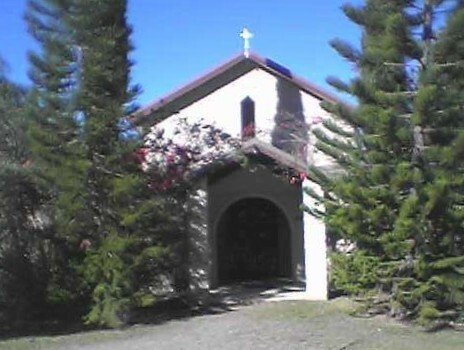 This is the home page for St Cecelia's Orthodox Catholic Church at Caboolture, Queensland, Australia. St Cecelia's Orthodox Catholic Church is part of the world-wide Orthodox Catholic Church that was founded by Jesus Christ nearly 2000 years ago and is dedicated to preparing for His Return. Directly descended from the Apostolic Church our modern churches base themselves on Apostolic Tradition and individual Church communities are self-governed. Like the original Apostolic Church, each communitiy is led by a married bishop or priest and his wife, who are respectively responsible for the spiritual and practical organisation of each church community. Although common in Apostolic times, this form of Church organisation died out after Christianity became the Established Religion of the Roman Empire in the 4th century. Central authority and legalistic definitions of Christian teachings may have been desirable for the survival of the Nation State, but they led to internal disputes and so-called heresies over very minor points. The revival of this form of Church government can be traced to the well-known Christian, Historical, Masonic and Psychic author, J.S.M. Ward, who with his wife Jessie started the "Confraternity of the Kingdom of Christ" in 1927 in England. Today there are many small groups around the world, (mainly in the English-speaking nations) who to a greater or lesser extent base their thinking and beliefs on his teachings. "those that seek me I will in no wise turn away". The College also offers a number of other courses. Successful completion of each Course is rewarded by a Certificate of Achievement. For those who take a more serious interest they can be combined into a degree course, known as a Licentiate in Theology, which is a requirement for those who wish to enter Holy Orders in our Church. We use the service in an English translation which is also shorter than the original Syriac form and takes about an hour. All visitors are very welcome. Evensong is based on the Anglican Service of the same name, and consists simply of Prayers, Hymns, one or more Bible readings and a sermon. Benediction is derived from the Catholic Service of the same name and like the original Catholic Service is sung in Latin. It honours the Blessed Sacrament and also provides a good opportunity for Traditional Catholics to sing some of the old Latin hymns again.